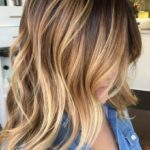 It’s fun to participate in the latest trends when it comes to haircuts and color, but certain occasions call for timeless, elegant hairstyles. These tried-and-true looks won’t have you cringing at your photos in ten years’ time, making them great options for wedding hairstyles or any other time you’re being professionally photographed. Most elegant hairstyles come from a “less is more” approach, and only one or two styling techniques are used to execute a single style. 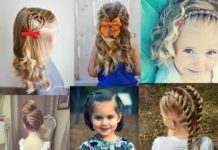 Whether you’re looking for a classy style for an upcoming event, or you’d like to adopt more sophisticated styling in your daily routine, these 25 elegant hairstyles are a great place to start. This french braided updo has Sienna Miller looking like royalty, and is a perfect way to wear mid length hair in a simple style that will stay put all night long. 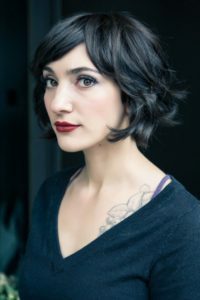 If you’re looking to up the sophistication factor of your bob, styling it with a deep side part will frame your face with a similar effect to cutting bangs. Because flyaways and frizz don’t usually read as elegant, be sure to style your bob with a smoothing product. This vintage glam style gives off the perfect mix of elegance and sultriness, making it versatile enough to wear as a bride or wedding guest, or for a special occasion dinner. A smooth and sleek, high bun style is not only a staple of red carpet hairstyles, but it’s easy to achieve without the help of a professional stylist. To give your bun volume and structure, we’d recommend using a hair donut or other accessory that you can wrap your hair around to shape the bun. Bringing elegance to a style that’s casual enough for daily wear, this mid length cut is timeless thanks to its subtle layering and sleek styling. 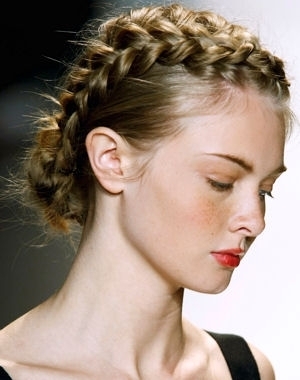 For a more defined braided style, this look features a dutch braid that wraps across the head and down to the nape of the neck, resulting in the perfect mix of trend and elegance. 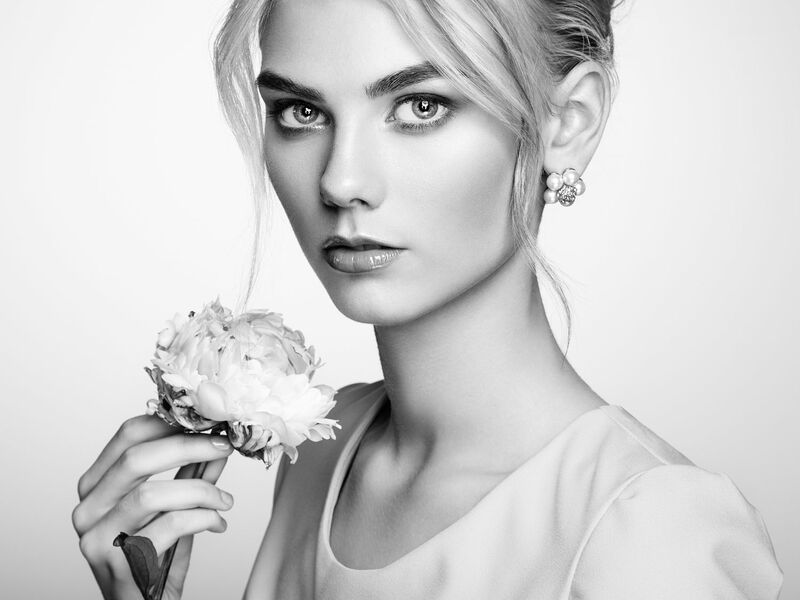 The epitome of chic and simple styling, the chignon is a timeless classic that looks best with mid length hair. This particular look is set off to one side, which creates visual interest and lends itself to setting a hair brooch on one side for extra embellishment. This piecey pixie style is proof that you don’t need long hair to look elegant. 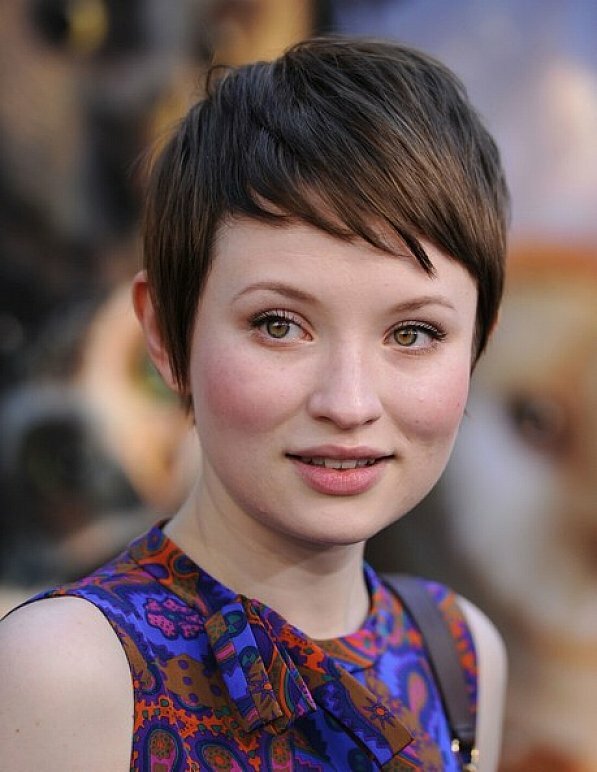 With little bangs falling across the forehead and longer pieces in front of the ears, the expert shape of this short style is classic, bold elegance. 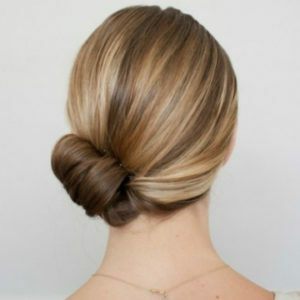 This Grecian-inspired bun is situated right on top of the head, for a look that creates a more fashion forward silhouette than its classic counterpart, but isn’t so trendy it will look dated in years to come. French and elegance go hand in hand, and this French bob is an ultra chic way to wear your hair every day. For women with thick hair, ask your stylist texture the ends to eliminate bulk and heaviness. With vintage glamour reminiscent of Billie Holiday, this wispy updo is studded with flowers that add visual intrigue and soft romance. 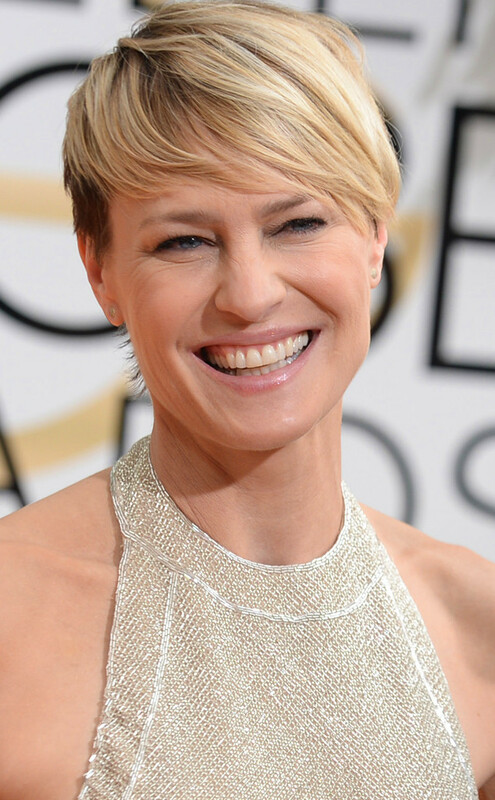 Robin Wright’s short style features some subtle undercutting that lend lightness and movement to the sophisticated look. 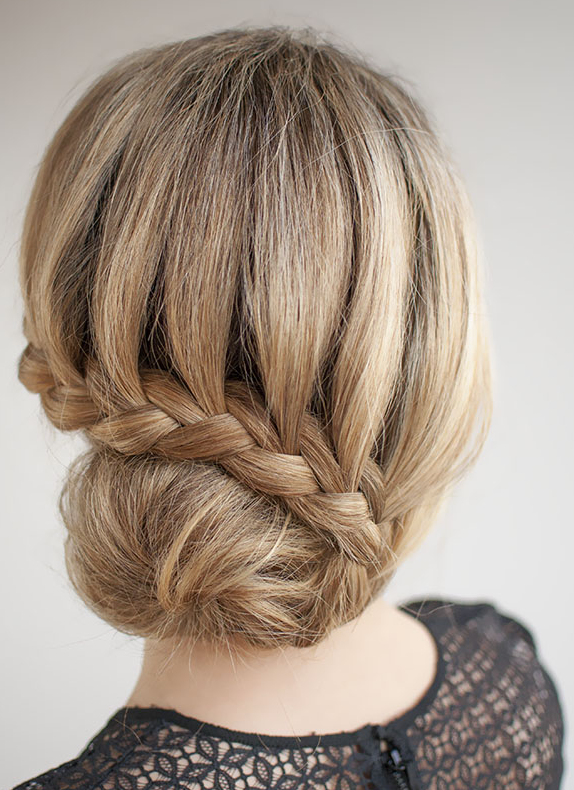 The thoughtful, romantic detail in this braided bun makes it an excellent choice for a wedding day style. 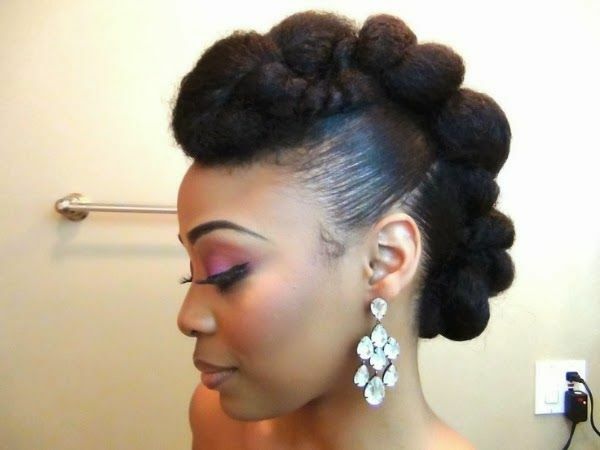 If you thought the words “mohawk” and “elegant” would never go together, this updo is here to prove you wrong. Slicked sides and a thick braid on top bring the silhouette of a mohawk to a sophisticated updo for one incredible style. 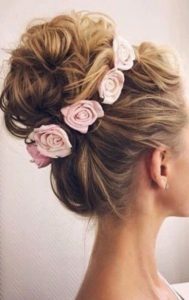 Bringing the same flair as a flower pinned behind the ear, this twisted bun draws the eye visually downward, but keeps the hair up enough that it won’t distract from or cover up the evening’s gorgeous outfit. 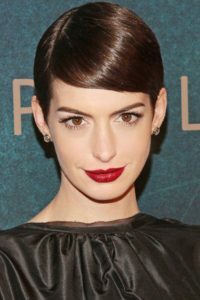 Inspired by popular short cuts of the past worn by iconic women like Audrey Hepburn and Twiggy, Anne Hathaway’s sleek pixie style is the epitome of elegance and grace. As the modern definition of elegance, we could have comprised this list entirely of Princess Kate’s hairstyles. 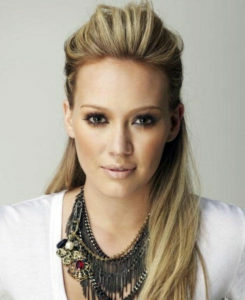 Styling her long, thick hair in simple classic curls is our favorite of her many timeless looks. Another Grecian-inspired style, Mary J Blige’s braid wrapped bun exudes ancient elegance on the modern red carpet. Inspired by the high ponytail made popular in the 1950s, Reese Witherspoon’s red carpet ponytail gets maximum volume and height without looking cheap or costumey. Showing that romance and elegance often go hand-in-hand, this style features a french braid that transitions into a side braided fishtail. One of the best things about this look is that once you’ve learned these braiding techniques, it’s easy to replicate on your own hair. Bringing the bouffant hairstyle into the modern age, this style strikes the perfect balance between sleek and high volume. If you’re looking to add one easy tweak to your long, curled style, try this little side twist to hold hair back on one side. A simple, versatile look, this style will fit in on a regular workday or an occasion as special as your wedding. The French twist is an enduringly elegant style, keeping all ends securely hidden. For women with long, thick hair that’s especially heavy, this style requires a significant amount of pins and hairspray to get just right. The antidote to plain, half up hairstyles, Hilary Duff’s look features a volumized front section that adds drama and intrigue to elevate the everyday style. This romantic curled bun surrounded by roses is the kind of special style that will make a bride feel spectacular on her big day.